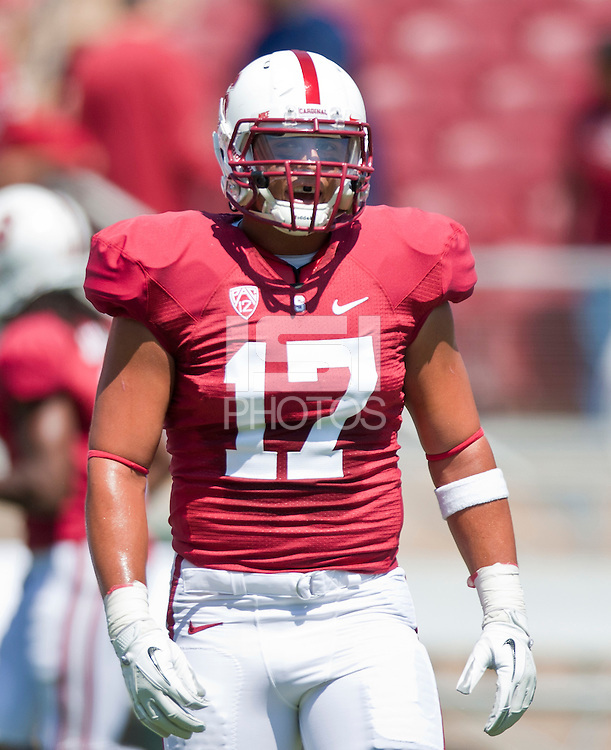 Stanford, CA - September 3, 2011: Stanford Cardinal linebacker A.J. Tarpley (17) before the game between Stanford Cardinal and San Jose State Spartans at Stanford Stadium in Stanford, California. Final score Stanford Cardinal 57, San Jose State Spartans 3.